1 Blemished Available: $220.99 This item is available as a Blem/Refurb. These are items that cannot be sold as "New" merchandise and are limited to stock on hand. See the product details for a description of the product's condition. Once installed, the Dynojet Auto Tune Kit constantly monitors your bike’s air/fuel mixture from your exhaust gases and sends this information to your Power Commander V. Then, the Dyno Jet Autotune automatically makes corrections to the air and fuel ratio based your current map. Each map that Dynojet offers has preset air and fuel ratio values included that they have found to be the best overall setting for your bike. This means no matter what aftermarket exhaust or air filter you install on your motorcycle, the Auto Tune Kit will ensure that your air and fuel ratio is optimal. Each throttle position and RPM combination can also be individually adjustable. This allows both fuel economy during lower RPM cruising, while also maintaining peak output at larger throttle openings. For most models of bikes it is also possible to adjust the air and fuel ratios of each gear. This gives you total control of the fueling in every gear and throttle/RPM combination if desired. Single Channel AT-200 - The Single Channel AT-200 is a universal fit, single O2 sensor kit. It can be used on any motorcycle that has a PCV installed on it. 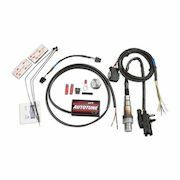 It includes a single O2 sensor, cut-to-length sensor cable, control module, O2 sensor, one weld boss kit and a CAN connection cable. It requires a ground and 12 volt connection be made using the supplied Posi-Taps. 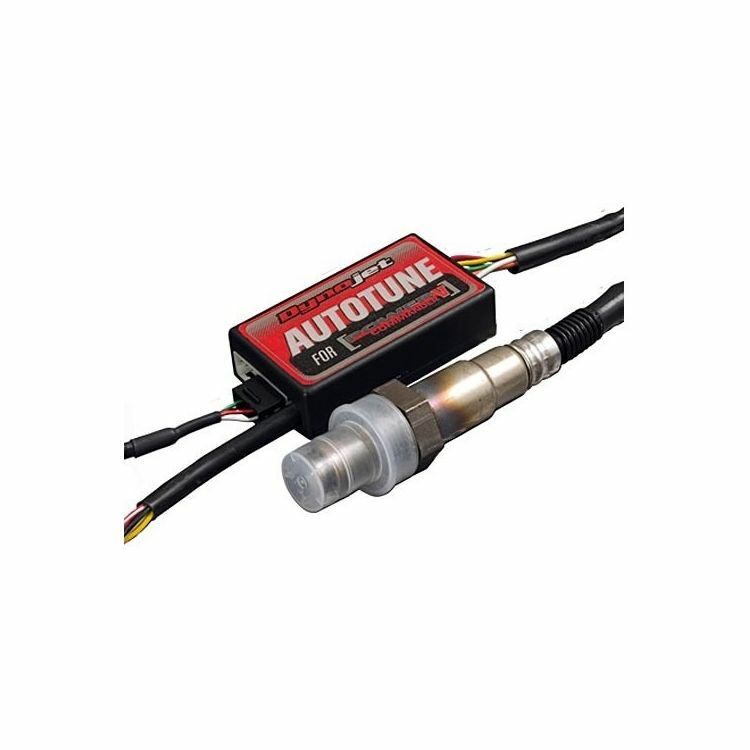 Dual Channel AT-300 - The Dual Channel AT-300 is designed for twin cylinder motorcycles and ATVs that use the Power Commander V allowing control of two cylinders simultaneously. The kit includes two O2 sensors, a control module with 2 sensor inputs, two cut-to-length sensor cables, and two weld-on bosses. It also requires a ground and 12 volt connection to be made using the supplied wiring hardware.